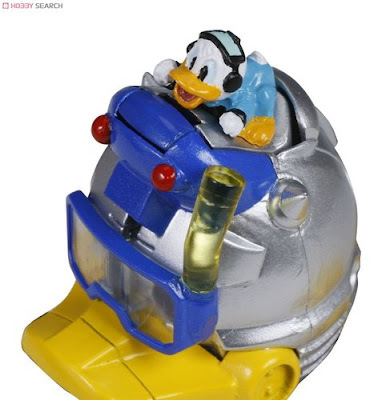 After Mickey, off course there will be a Donald Duck Transformers Disney Toy and thanks to our friends from Robot Pilipinas, we got the chance to see the toy on its full colored glory. 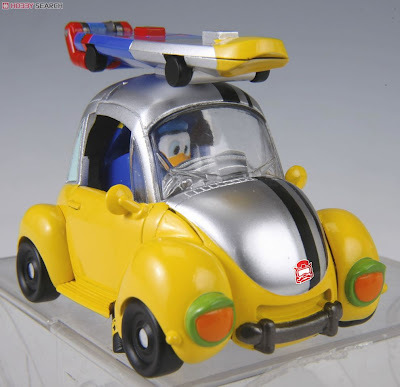 TF Donald Duck is designed like he is going for a swim. 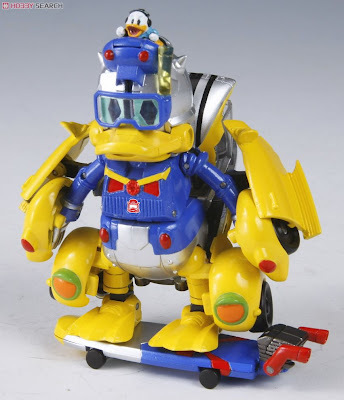 Notice the snorkel and goggles. 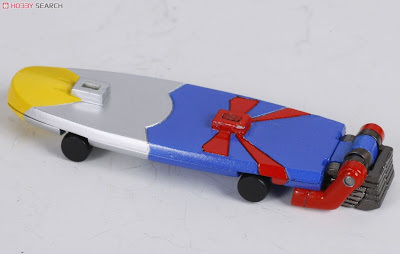 And he also has a skateboard/surfboard accessory that Donald can ride during Robo duck mode and attached to the Roof during Vehicle mode. According to sources, the figure will cost ¥3,990 or $42.92 (Php2100.28) and will be released this coming Christmas.